This note provides a general introduction to the British Virgin Islands (“BVI”) beneficial ownership regime that has created a secure, non-public search platform called BOSS (Beneficial Ownership Secure Search System). On 30th June 2017, the Beneficial Ownership Secure Search System Act, 2017 (the “Law”) came into force (although the deadline for full compliance was extended to 31st December 2017). The Law gives effect to commitments made by the BVI Government to the UK Government (by way of an Exchange of Notes in April 2016), to further strengthen existing arrangements on the exchange of beneficial ownership information to assist law enforcement agencies combat tax evasion and money laundering. The Law requires that each registered agent maintains a database of the BVI corporate and legal entities for whom they act as registered agent (the “Registered Agent Database”). The Registered Agent Database will be private but searchable by specifically designated BVI Governmental bodies via BOSS, which enables an electronic search of each Registered Agent Database. 2. Which BVI entities does the Law apply to? 2.1 Subject to specific exemptions, the Law applies to companies incorporated or registered under the BVI Companies Act, 2004. The obligation does not extend to partnerships formed in the BVI or trusts domiciled in the BVI. Any dissolved company, company struck off prior to 1 January 2016 or any company that has continued as a company incorporated under the laws of a jurisdiction outside the BVI are excluded from BOSS. 2.2 The relevant companies are required to identify and collect details of their beneficial owners who ultimately own 25% or more of the shares or voting rights or who otherwise exercise control over the management of the company, together with details of certain registrable intermediate holding companies through which any such interests may be held (the “UBO”). Relevant entities shall identify any UBO and notify the registered agent of that information within 15 days of identifying such person or entity. The penalties for non-compliance by an entity may reach a fine not exceeding US$250,000, imprisonment for a term not exceeding 5 years or both. In addition, providing false information can lead to a fine of up to US$75,000, up to 5 years’ imprisonment or both. An entity must within 15 days of becoming aware of a change in any of the prescribed information relating to any UBO notify the registered agent of such changes and the dates that they took place. The registered agent must then cause the updated information to be included on the Registered Agent Database within 15 days of being notified or otherwise becoming aware of a change. Penalties for a breach can reach US$10,000. In addition, proving false information can lead to a fine of up to US$75,000, up to 5 years’ imprisonment or both. 2.3 It is important that effected companies liaise closely with their registered agent with respect to filings made under the Law to make certain that the information being disclosed is correct, complete and up to date and that no unnecessary information is being disclosed. There is a statutory defence under the Law for registered agents that over disclose information when making a BOSS filing. 2.4 In relation to the relevant companies where there is no 25% or more UBO an entry must still be made on the Registered Agent Database. In such cases the company will need to identify who otherwise exercises control over the management of the company which may be one of more of the directors, depending on the circumstances in each case (see section 4 below). Companies which have been stuck off since 1 January 2016 are not exempt from the BOSS requirements. 4. Who is a ‘beneficial owner’? (f) in the case of a shareholder in the corporate and legal entity who would otherwise be a beneficial owner but is deceased, the natural person acting as a personal representative of the deceased’s estate. 4.2 However, if the beneficial owner of a corporate and legal entity is a registrable legal entity, provided the registered agent of the corporate and legal entity identifies the registrable legal entity, the details of the natural beneficial owner of the registrable legal entity are not required to be kept on the Registered Agent Database. 5. What information is required to be held? The Registered Agent Database must also include information setting out the date on which such individuals became or ceased to be a beneficial owner for the purposes of the Law. Information held by registered agents will be retained for 5 years following the dissolution, or other cessation, of the corporate and legal entity. No passport details are required. 6. Who may request a search using BOSS? (d) BVI Attorney General’s Chambers. Beneficial owners will not be informed when a search is made via BOSS. The authorities may request the designated person to search BOSS solely for the purpose of assisting the BVI in complying with its obligations under the Exchange of Notes Agreement, 2016. Searches will only be conducted upon receipt of a bona fide search request from the UK Financial Intelligence Unit of the National Crime Agency and the request has been vetted and certified as proper, lawful and in compliance with the Exchange of Notes. The registered agent is responsible for compiling a Registered Agent Database containing details of the beneficial owners of the corporate and legal entities for which it is the registered agent and to keep that Registered Agent Database confidential and secure. The Law requires that any person designated to access BOSS must do so from physically secure premises and a secure IT system. The designated persons must pass security vetting tests and are required to take an oath of confidentiality prior to being designated by order of the BVI Minister of Finance. It is an imprisonable offence for any person other than a registered agent to maintain the Registered Agent Database and a person designated by the Law to access the information retained on the Registered Agent Database. 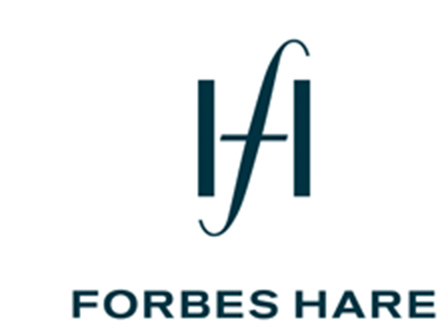 This legal guide is intended to provide a general overview of the BVI beneficial share ownership reporting requirements and is for the use of the clients and professional contacts of Forbes Hare. It is not intended to be comprehensive, and should not be relied on as a substitute for independent legal advice in any circumstances. Where a director is unsure of their position regarding the new reporting requirements imposed on them under BVI law they should take professional advice at the earliest opportunity.